Pierangela Samarati is a Professor at the Computer Science Department of the Università degli Studi di Milano. Her main research interests are in data protection, security, and privacy. She has participated in several projects involving different aspects of information protection. On these topics she has published more than 270 papers appeared in journals, conference proceedings, and books. She is co-author of the book "Database Security," Addison-Wesley, 1995. She has been Computer Scientist in the Computer Science Laboratory at SRI, CA (USA). She has been a visiting researcher at the Computer Science Department of Stanford University, CA (USA), and at the Center for Secure Information Systems, George Mason University, VA (USA). She is the chair of the IEEE Systems Council Technical Committee on Security and Privacy in Complex Information Systems (TCSPCIS), of the ERCIM Security and Trust Management Working Group (STM), and of the ACM Workshop on Privacy in the Electronic Society (WPES). 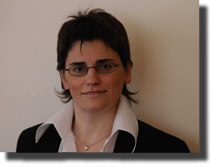 She is the Coordinator of the Working Group on Security of the Italian Association for Information Processing (AICA), the Italian representative in the IFIP (International Federation for Information Processing) Technical Committee 11 (TC-11) on "Security and Privacy". She is a member of the Steering Committee of: European Symposium on Research in Computer Security (ESORICS), IEEE Conference on Communications and Network Security (CNS), IEEE Conference on Blockchain, Italian Conference on CyberSecurity, International Conference on Information Systems Security (ICISS), and International Conference on Information and Communications Security (ICICS). She has been named ACM Distinguished Scientist (2009) and IEEE Fellow (2012). She has received the ESORICS Oustdanding Research award (2018), the IEEE Computer Society Technical Achievement Award (2016), the IFIP TC11 Kristian Beckman Award (2008), and the IFIP WG 11.3 Outstanding Research Contributions Award (2012). She has served on the program committees of various conferences. She has served as Program Chair or co-Chair for: International Conference on Information Security Practice and Experience (ISPEC'17) International Conference on Applied Cryptography and Network Security (ACNS'12), International Conference on Security and Cryptography (SECRYPT'10 -- SECRYPT'18), International Workshop on Security and Trust Management (STM'12 and STM'06), International Conference on Network and System Security (NSS'10 and NSS'11), Workshop in Information Security Theory and Practices (WISTP'10), Information Security Conference (ISC'09), ACM Symposium on InformAtion, Computer and Communications Security (ASIACCS'07), Annual Computer Security Applications Conference (ACSAC'04 -- ACSAC'08), European Symposium on Research in Computer Security (ESORICS'03 and ESORICS'04), ACM Workshop on Privacy in the Electronic Society (WPES'02 and WPES'03), ACM Conference on Computer and Communications Security (CCS'01), IFIP TC-11 International Information Security Conference (SEC'03 and SEC'08), IFIP WG11.3 Working Conference on Database Security (DBSEC'96 and DBSEC'04).